Aren’t they lovely? 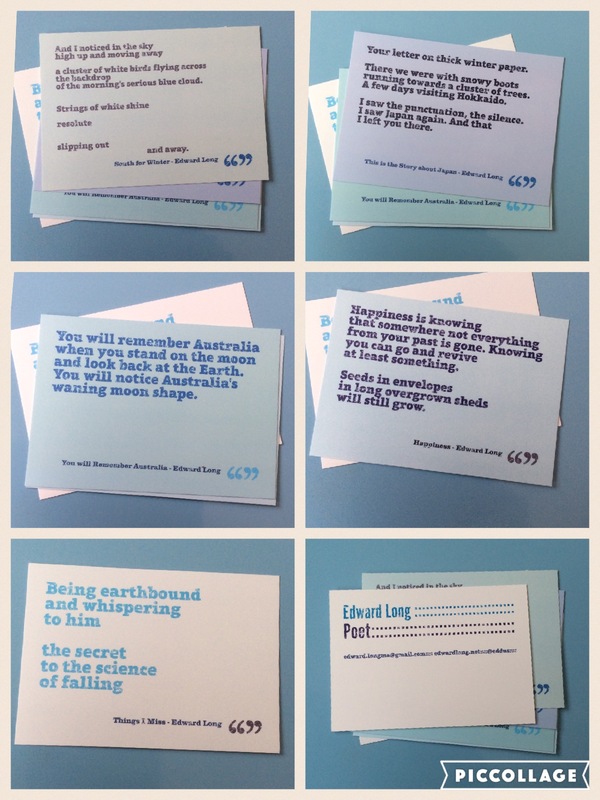 This is my first set of Poetry Postcards with extracts from my collection The Letters We Sent. The postcards are very much up for sale! If you would like ONE/TWO/THREE/FOUR in particular paypal me £1 each, let me know your address and which postcards you’d like and I’ll post them to you. If you would like ALL FIVE paypal me £4.50, let me know your address and I’ll post them to you.